Do you like fun? If so, you need to drive this Jeep Renegade. Not only is it roomy and comfortable, but the fuel economy is great too AND it's 4 wheel drive. Since it carries the badge of the greatest 4X4 company in history, you get everything you would expect from Jeep with all the technology that can be built into this smart SUV. Don't take our word for it, come drive one and see how smooth riding it is. You will love it! 2018 Jeep Renegade Sport 4X4, 4-Door Sport Utility 2.4L I4, 9-Speed 948TE Automatic, 4WD, Alpine White, Black Cloth Interior, 17" x 7.0" Aluminum Wheels, 6 Speakers, Air Conditioning, Black Side Roof Rails, Compass, Deep Tint Sunscreen Glass, Power & Air Group, Power Heated Mirrors, , Radio: Uconnect 3 with 5" Touchscreen Display, Speed Control, Split folding rear seat, Sport Appearance Group II, Steering wheel mounted audio controls. 21/29 City/Highway MPG Thank you for visiting Wabash Valley Chrysler Dodge Jeep and Ram's Online Showroom. Our customers voted us #1 in Customer Satisfaction for a reason - because Wabash Valley works hard to make sure each and every customer is taken care of before, during and after the sale. Let Wabash Valley Chrysler Dodge Jeep and Ram show you how car buying should be. Make a confident, stress-free purchase knowing Wabash Valley was voted #1 in Customer Satisfaction by our customers for the entire Fort Wayne region. 2019 Dodge Grand Caravan SE, 4-Door Wagon, 3.6L V6 Flex Fuel 24V VVT engine, 6-Speed Automatic transmission, FWD, White Knuckle Clearcoat, Black & Light Graystone Cloth interior, 17" Steel Wheels, 40GB Hard Drive with 28GB Available, 6.5" Touchscreen Display, ABS brakes, Audio Jack Input for Mobile Devices, Auto-dimming Rear-View mirror, Black Door Handles, Electronic Stability Control, Front dual zone Air Conditioning, Heated door mirrors, Illuminated entry, Low tire pressure warning, Outside temperature display, ParkView Rear Back-Up Camera, Passenger door bin, Radio: 430 with 6.5" Touchscreen Display, Rear Air Conditioning with Heater, Reclining 3rd row seat, Remote keyless entry, Steering wheel mounted audio controls, Traction control. Thank you for visiting Wabash Valley Chrysler Dodge Jeep and Ram's Online Showroom. Our customers voted us #1 in Customer Satisfaction for a reason - because Wabash Valley works hard to make sure each and every customer is taken care of before, during and after the sale. Let Wabash Valley Chrysler Dodge Jeep and Ram show you how car buying should be. Make a confident, stress-free purchase knowing Wabash Valley was voted #1 in Customer Satisfaction by our customers for the entire Fort Wayne region. 2018 Jeep Renegade Latitude 4X4, 4-Door Sport Utility, 2.4L I4 engine, 9-Speed 948TE Automatic transmission, 4-Wheel Drive, Colorado Red, Black Cloth Interior, 3.734 Final Drive Ratio, 6 Speakers, Apple CarPlay, Integrated Center Stack Radio, Integrated Voice Command with Bluetooth, Google Android Auto, SiriusXM Satellite Radio, ParkView Rear Back-up Camera, All-Season Floor Mats, Altitude Package, Automatic temperature control, Black Accent Stitching, Black Day Light Opening Moldings, Cold Weather Group, Deluxe Cloth High-Back Bucket Seats, Exterior Mirrors with Supplemental Signals, Front dual zone Air Conditioing, Gloss Black Badging, Gloss Black Instrument Panel Bezels, Gloss Black Rear Fascia Applique, Heated Front Seats, Heated Steering Wheel, Passive Entry Remote Start Package, Passive Entry & Keyless Go, PTC Auxiliary Interior Heater, Uconnect 4 Radio with 7" Touchscreen Display, Rain Sensitive Windshield Wipers, Remote Start System, Steering wheel mounted audio controls, 18" Gloss Black Wheels, Windshield Wiper De-Icer, Zero Evaporate Emissions Control System. 29/21 Highway/City MPG Thank you for visiting Wabash Valley Chrysler Dodge Jeep and Ram's Online Showroom. Our customers voted us #1 in Customer Satisfaction for a reason - because Wabash Valley works hard to make sure each and every customer is taken care of before, during and after the sale. Let Wabash Valley Chrysler Dodge Jeep and Ram show you how car buying should be. Make a confident, stress-free purchase knowing Wabash Valley was voted #1 in Customer Satisfaction by our customers for the entire Fort Wayne region. 2018 Jeep Renegade Latitude 4X4, 4-Door Sport Utility, 2.4L I4 engine, 9-Speed 948TE Automatic transmission, 4-Wheel Drive, Black, Black Cloth interior, 3.734 Final Drive Ratio, All-Season Floor Mats, Altitude Package, Automatic temperature control, Apple CarPlay, Integrated Center Stack Radio, Integrated Voice Command with Bluetooth, Google Android Auto, SiriusXM Satellite Radio, ParkView Rear Back-up Camera, Black Accent Stitching, Black Day Light Opening Moldings, Cold Weather Group, Deluxe Cloth High-Back Bucket Seats, Exterior Mirrors w/Supplemental Signals, Front dual zone Air Conditioning, Gloss Black Badging, Gloss Black Instrument Panel Bezels, Gloss Black Rear Fascia Applique, Heated Front Seats, Heated Steering Wheel, Passive Entry Remote Start Package, Passive Entry & Keyless Go, PTC Auxiliary Interior Heater, Uconnect 4 Radio with 7" Touchscreen Display, Rain Sensitive Windshield Wipers, Remote Start System, Steering wheel mounted audio controls, Vinyl Door Trim Panel, Wheels: 18" Gloss Black, Windshield Wiper De-Icer, Zero Evaporate Emissions Control System. 29/21 Highway/City MPG Thank you for visiting Wabash Valley Chrysler Dodge Jeep and Ram's Online Showroom. Our customers voted us #1 in Customer Satisfaction for a reason - because Wabash Valley works hard to make sure each and every customer is taken care of before, during and after the sale. Let Wabash Valley Chrysler Dodge Jeep and Ram show you how car buying should be. Make a confident, stress-free purchase knowing Wabash Valley was voted #1 in Customer Satisfaction by our customers for the entire Fort Wayne region. 2018 Jeep Compass Latitude Remote Start, Keyless Entry, Backup Camera, Bluetooth, Alloy Wheels. 22/31 City/Highway MPG Thank you for visiting Wabash Valley Chrysler Dodge Jeep and Ram's Online Showroom. Our customers voted us #1 in Customer Satisfaction for a reason - because Wabash Valley works hard to make sure each and every customer is taken care of before, during and after the sale. Let Wabash Valley Chrysler Dodge Jeep and Ram show you how car buying should be. Make a confident, stress-free purchase knowing Wabash Valley was voted #1 in Customer Satisfaction by our customers for the entire Fort Wayne region. YOUR PARTNER IN TRAVELS! Compass offers more than 70 standard and available active and passive safety and security features. Add to that seven standard airbags7, and you and your passengers get peace of mind too. 4X4**Backup Camera**Remote Start**SiriusXM Satellite Radio**Google Android Auto**Apple CarPlay**Bluetooth**2019 Jeep Compass Latitude4X4, 4-Door Sport Utility, 2.4L I4, 6-Speed Aisin Automatic transmission, Granite Crystal Metallic Clearcoat, Black Cloth Interior with Gunmetal & Black Interior Accents, Automatic temperature control, Block heater, Cluster 7.0" Color Driver Information Display, Compass, Front dual zone Air Conditioning, Heated door mirrors, Uconnect 4 Radio with 7" Touchscreen Display, Remote Start System, Steering wheel mounted audio controls, Wheels: 17" Silver Painted Aluminum. 31/22 Highway/City MPG Thank you for visiting Wabash Valley Chrysler Dodge Jeep and Ram's Online Showroom. Our customers voted us #1 in Customer Satisfaction for a reason - because Wabash Valley works hard to make sure each and every customer is taken care of before, during and after the sale. Let Wabash Valley Chrysler Dodge Jeep and Ram show you how car buying should be. Make a confident, stress-free purchase knowing Wabash Valley was voted #1 in Customer Satisfaction by our customers for the entire Fort Wayne region. IMPRESSIVE FROM EVERY ANGLE! From the streets to the trails, the Compass exudes confidence from every angle thanks to its athletic styling and sweeping aerodynamic curves. Back up Camera**Bluetooth**4X4**Heated Seats**Heated Steering Wheel**2019 Jeep Compass Latitude Compass Latitude, 4-Door Sport Utility, 2.4L I4 engine, 9-Speed Automatic transmission, 4 Wheel Drive, Jazz Blue Pearlcoat, Black Cloth Interior with Gun Metal Interior Accents, , All-Season Floor Mats, Apple CarPlay, Blind Spot & Cross Path Detection, Bluetooth Integrated Voice Command, Bluetooth® Streaming Audio, Cold Weather Group, Cluster 3.5 Black & White Driver Info Display, Compass, Google Android Auto, Heated door mirrors, Heated Front Seats, Heated Steering Wheel, Outside temperature display, ParkSense Rear Park Assist System, Uconnect 4 Radio with 7" Touchscreen Display, Rain Sensitive & Intermittent Wipers, Remote Start System, Reversible Carpet & Vinyl Cargo Mat, Safety & Security Group, Security Alarm, Steering wheel mounted audio controls, USB Host Flip, Wheels: 17" Silver Painted Aluminum, Windshield Wiper De-Icer. 22/30 City/Highway MPG Thank you for visiting Wabash Valley Chrysler Dodge Jeep and Ram's Online Showroom. Our customers voted us #1 in Customer Satisfaction for a reason - because Wabash Valley works hard to make sure each and every customer is taken care of before, during and after the sale. Let Wabash Valley Chrysler Dodge Jeep and Ram show you how car buying should be. Make a confident, stress-free purchase knowing Wabash Valley was voted #1 in Customer Satisfaction by our customers for the entire Fort Wayne region. 2018 Jeep Renegade Latitude 4X4, 4-Door Sport Utility, 2.4L I4 engine, 9-Speed 948TE Automatic transmission, 4-Wheel Drive, Colorado Red, 115V Auxiliary Power Outlet, Automatic temperature control, Beats Premium Audio System, Dual-Pane Panoramic Power Sunroof, Heated door mirrors, Heated Front Seats, Heated Steering Wheel, Uconnect 4 Radio with 7" Touchscreen Display, Remote Start System, Steering wheel mounted audio controls, 18" Gloss Black Wheels, Windshield Wiper De-Icer. 29/21 Highway/City MPG Thank you for visiting Wabash Valley Chrysler Dodge Jeep and Ram's Online Showroom. Our customers voted us #1 in Customer Satisfaction for a reason - because Wabash Valley works hard to make sure each and every customer is taken care of before, during and after the sale. Let Wabash Valley Chrysler Dodge Jeep and Ram show you how car buying should be. Make a confident, stress-free purchase knowing Wabash Valley was voted #1 in Customer Satisfaction by our customers for the entire Fort Wayne region. 2019 Dodge Grand Caravan SE, 4-Door Wagon, 3.6L V6 Flex Fuel 24V VVT engine, 6-Speed Automatic transmission, FWD, Octane Red Pearlcoat, Black Cloth Interior, 17" Aluminum Wheels, 40GB Hard Drive with 28GB Available, 6.5" Touchscreen Display, ABS brakes, Audio Jack Input for Mobile Devices, Automatic Headlamps, Black Headlamp Bezels, Blacktop Package, Bluetooth® Streaming Audio, CD player, Electronic Stability Control, Floor Console with Cupholder, Front dual zone Air Conditioning, Front Fog Lamps, Gloss Black Grille, Heated door mirrors, Highline Door Trim Panel, Illuminated entry, Instrument Panel with Piano Black Applique, Low tire pressure warning, ParkView Rear Back-Up Camera, Premium Cloth Bucket Seats, Premium Interior Accents, Radio: 430 with 6.5" Touchscreen Display, Rear Air Conditioning with Heater, Rear Fascia Scuff Pad, Remote keyless entry, Remote Start System, Remote USB Port, Security Alarm, Security Group, Silver Accent Stitching, Steering Wheel Mounted Audio Controls, Steering wheel mounted audio controls, Traction control, Uconnect Hands-Free Group, Uconnect Voice Command with Bluetooth. Thank you for visiting Wabash Valley Chrysler Dodge Jeep and Ram's Online Showroom. Our customers voted us #1 in Customer Satisfaction for a reason - because Wabash Valley works hard to make sure each and every customer is taken care of before, during and after the sale. Let Wabash Valley Chrysler Dodge Jeep and Ram show you how car buying should be. Make a confident, stress-free purchase knowing Wabash Valley was voted #1 in Customer Satisfaction by our customers for the entire Fort Wayne region. Billet Silver Metallic, 2019 Jeep Compass Latitude 4X4, 4WD, Remote Start, Keyless Entry, Backup Camera, Bluetooth, Alloy Wheels. 22/30 City/Highway MPG Thank you for visiting Wabash Valley Chrysler Dodge Jeep and Ram's Online Showroom. Our customers voted us #1 in Customer Satisfaction for a reason - because Wabash Valley works hard to make sure each and every customer is taken care of before, during and after the sale. Let Wabash Valley Chrysler Dodge Jeep and Ram show you how car buying should be. Make a confident, stress-free purchase knowing Wabash Valley was voted #1 in Customer Satisfaction by our customers for the entire Fort Wayne region. The thoughtfully designed interior of the 2019 Jeep® Compass makes a bold statement about confidence and refinement, thanks to stylish accents and modern technology that's at your command every time you take the wheel. Stop in for a personal showing and test drive today! You'll be pleasantly surprised! 2019 Jeep Compass Latitude, 4-Door Sport Utility, 2.4L I4 engine, 6-Speed Aisin Automatic transmission, FWD, White Clearcoat, Black Cloth Interior, 1-Year SiriusXM Guardian Trial, 4-Way Power Lumbar Adjust, 8.4" Touch Screen Display, All-Season Floor Mats, Apple CarPlay, Auto-Dimming Rear-View Mirror, Automatic temperature control, Bluetooth Integrated Voice Command, Bluetooth® Streaming Audio, Cluster 7.0" Color Driver Information Display, Cold Weather Group, Front dual zone Air Conditioning, Google Android Auto, GPS Antenna Input, GPS Navigation, HD Radio, Heated door mirrors, Heated Front Seats, Heated Steering Wheel, Media Hub (USB, AUX), Power 8-Way Driver & Manual 6-Way Passenger Seats, Radio: Uconnect 4C Navigation with 8.4" Display, Remote Start System, Reversible Carpet & Vinyl Cargo Mat, SiriusXM Traffic Plus, SiriusXM Travel Link, Steering wheel mounted audio controls, USB Host Flip, Wheels: 17" x 7.0" Silver Painted Aluminum, Windshield Wiper De-Icer. 31/22 Highway/City MPG Thank you for visiting Wabash Valley Chrysler Dodge Jeep and Ram's Online Showroom. Our customers voted us #1 in Customer Satisfaction for a reason - because Wabash Valley works hard to make sure each and every customer is taken care of before, during and after the sale. Let Wabash Valley Chrysler Dodge Jeep and Ram show you how car buying should be. Make a confident, stress-free purchase knowing Wabash Valley was voted #1 in Customer Satisfaction by our customers for the entire Fort Wayne region. Diamond Black 2019 Jeep Compass 4X4 Latitude, Remote Start, Keyless Entry, Backup Camera, Bluetooth, Heated Leather & Cloth Seats, Alloy Wheels, Heated Steering Wheel, Blind Spot & Cross Path Detection. 22/30 City/Highway MPG Thank you for visiting Wabash Valley Chrysler Dodge Jeep and Ram's Online Showroom. Our customers voted us #1 in Customer Satisfaction for a reason - because Wabash Valley works hard to make sure each and every customer is taken care of before, during and after the sale. Let Wabash Valley Chrysler Dodge Jeep and Ram show you how car buying should be. Make a confident, stress-free purchase knowing Wabash Valley was voted #1 in Customer Satisfaction by our customers for the entire Fort Wayne region. 2018 Jeep Compass Limited Compass Limited, 4D Sport Utility, 2.4L I4, 9-Speed Automatic, 4WD, Granite Crystal Metallic, Black Leather, AM/FM radio: SiriusXM, Automatic temperature control, Blind Spot & Cross Path Detection, Compass, Front dual zone A/C, Heated door mirrors, Heated front seats, Heated steering wheel, ParkSense Rear Park Assist System, Power driver seat, Radio: Uconnect 4 w/8.4" Display, Rain Sensitive/Intermittent Wipers, Steering wheel mounted audio controls, Turn signal indicator mirrors, Wheels: 18" x 7.0" Polished/Gray Pockets Aluminum. 22/30 City/Highway MPG Thank you for visiting Wabash Valley Chrysler Dodge Jeep and Ram's Online Showroom. Our customers voted us #1 in Customer Satisfaction for a reason - because Wabash Valley works hard to make sure each and every customer is taken care of before, during and after the sale. Let Wabash Valley Chrysler Dodge Jeep and Ram show you how car buying should be. Make a confident, stress-free purchase knowing Wabash Valley was voted #1 in Customer Satisfaction by our customers for the entire Fort Wayne region. 2019 Jeep Cherokee Latitude Plus 4X4, 4-Door Sport Utility, 3.2L V6 engine, 9-Speed 948TE Automatic transmission, 4-Wheel Drive, Granite Crystal Metallic Clearcoat, Black Cloth interior, 3.517 Axle Ratio, Compass, Heated door mirrors, Power driver seat, Uconnect 4 Radio with 7" Touchscreen Display, SiriusXM Satellite Radio, Steering wheel mounted audio controls, Stop-Start Multiple VSM System. Thank you for visiting Wabash Valley Chrysler Dodge Jeep and Ram's Online Showroom. Our customers voted us #1 in Customer Satisfaction for a reason - because Wabash Valley works hard to make sure each and every customer is taken care of before, during and after the sale. Let Wabash Valley Chrysler Dodge Jeep and Ram show you how car buying should be. Make a confident, stress-free purchase knowing Wabash Valley was voted #1 in Customer Satisfaction by our customers for the entire Fort Wayne region. IMPRESSIVE FROM EVERY ANGLE! From the streets to the trails, the Compass exudes confidence from every angle thanks to its athletic styling and sweeping aerodynamic curves. 2018 Jeep Compass Latitude 4X4 Altitude Special Edition, 4-Door Sport Utility, 2.4L I4 engine, 9-Speed Automatic transmission, 4-Wheel Drive, Redline Pearlcoat, Black Cloth Interior, 115V Auxiliary Power Outlet, 4-Way Power Lumbar Adjust, 7 & 4 Pin Wiring Harness, All-Season Floor Mats, , Apple CarPlay, Auto-Dimming Rear-View Mirror, Black 4x4 Tailgate Badge, Black Grille with Black Rings, Black Roof, Blind Spot & Cross Path Detection, Bright Exhaust Tip, Class III Receiver Hitch, Cluster 7.0" Color Driver Info Display, Gloss Black Compass Badge, Gloss Black Fog Lamp Bezels, Gloss Black Jeep Badge, Gloss Black Lower Rear Fascia Valance, Google Android Auto, Heated Front Seats, Heated Steering Wheel, ParkSense Rear Park Assist System, Piano Black Interior Accents, Power 8-Way Driver & Manual 6-Way Passenger Seats, Power Liftgate, Uconnect 4 Radio with 7" Display, Rain Sensitive & Intermittent Wipers, Reversible Carpet & Vinyl Cargo Mat, Security Alarm, Wheels: 18" x 7.0" Black Aluminum, Windshield Wiper De-Icer. 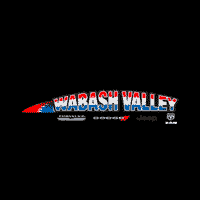 30/22 Highway/City MPG Thank you for visiting Wabash Valley Chrysler Dodge Jeep and Ram's Online Showroom. Our customers voted us #1 in Customer Satisfaction for a reason - because Wabash Valley works hard to make sure each and every customer is taken care of before, during and after the sale. Let Wabash Valley Chrysler Dodge Jeep and Ram show you how car buying should be. Make a confident, stress-free purchase knowing Wabash Valley was voted #1 in Customer Satisfaction by our customers for the entire Fort Wayne region. 2019 Jeep Cherokee Altitude 4X4, 4-Door Sport Utility, 2.0L I4 DOHC engine, 9-Speed 948TE Automatic transmission, 4 Wheel Drive, Bright White Clearcoat, Black Cloth Interior, ABS brakes, All-Season Floor Mats, Altitude Package, Auxiliary Transmission Oil Cooler, Black Accent Stitching, Black Day Light Opening Moldings, Cold Weather Group, Compass, Electronic Stability Control, Engine Block Heater, Gloss Black Exterior Accents, Gloss Black Exterior Badging, Gloss Black Grille Surrounds, Gloss Black Side Roof Rails, Heated door mirrors, Heated Front Seats, Heated Steering Wheel, Illuminated entry, Integrated Voice Command with Bluetooth, Low tire pressure warning, Passenger door bin, Piano Black Interior Accents, Power driver seat, Rear Parking Sensors, Remote keyless entry, Remote Start System, SiriusXM Satellite Radio, Steering wheel mounted audio controls, Traction control, Wheels: 18" Gloss Black 5-Spoke Aluminum, Windshield Wiper De-Icer. Thank you for visiting Wabash Valley Chrysler Dodge Jeep and Ram's Online Showroom. Our customers voted us #1 in Customer Satisfaction for a reason - because Wabash Valley works hard to make sure each and every customer is taken care of before, during and after the sale. Let Wabash Valley Chrysler Dodge Jeep and Ram show you how car buying should be. Make a confident, stress-free purchase knowing Wabash Valley was voted #1 in Customer Satisfaction by our customers for the entire Fort Wayne region. 2019 Jeep Cherokee Altitude 4X4, 4-Door Sport Utility, 2.0L I4 DOHC engine, 9-Speed 948TE Automatic transmission, 4WD, Granite Crystal Metallic Clearcoat, Black Cloth, 6 Speakers, ABS brakes, All-Season Floor Mats, Altitude Package, Auxiliary Transmission Oil Cooler, Black Accent Stitching, Black Day Light Opening Moldings, Cold Weather Group, Compass, Electronic Stability Control, Engine Block Heater, Gloss Black Exterior Accents, Gloss Black Exterior Badging, Gloss Black Grille Surrounds, Gloss Black Side Roof Rails, Heated door mirrors, Heated Front Seats, Heated Steering Wheel, Integrated Voice Command w/Bluetooth, Low tire pressure warning, Passenger door bin, Piano Black Interior Accents, Radio: Uconnect 4 w/7" Display, Remote keyless entry, Remote Start System, SiriusXM Satellite Radio, Stop-Start Multiple VSM System, Traction control, Wheels: 18" x 7" Gloss Black 5-Spoke Aluminum, Windshield Wiper De-Icer. Thank you for visiting Wabash Valley Chrysler Dodge Jeep and Ram's Online Showroom. Our customers voted us #1 in Customer Satisfaction for a reason - because Wabash Valley works hard to make sure each and every customer is taken care of before, during and after the sale. Let Wabash Valley Chrysler Dodge Jeep and Ram show you how car buying should be. Make a confident, stress-free purchase knowing Wabash Valley was voted #1 in Customer Satisfaction by our customers for the entire Fort Wayne region. 2019 Jeep Cherokee Altitude 4X4, 4-Door Sport Utility, 2.0L I4 DOHC engine, 9-Speed 948TE Automatic transmission, 4 Wheel Drive, Granite Crystal Metallic Clearcoat, Black Cloth Interior, ABS brakes, All-Season Floor Mats, Altitude Package, Black Accent Stitching, Black Day Light Opening Moldings, Cold Weather Group, Compass, Electronic Stability Control, Engine Block Heater, Gloss Black Exterior Accents, Gloss Black Exterior Badging, Gloss Black Grille Surrounds, Gloss Black Side Roof Rails, Heated door mirrors, Heated Front Seats, Heated Steering Wheel, Illuminated entry, Integrated Voice Command with Bluetooth, Low tire pressure warning, Passenger door bin, Piano Black Interior Accents, Power driver seat, Radio: Uconnect 4 with 7" Display, Rear Parking Sensors, Remote keyless entry, Remote Start System, SiriusXM Satellite Radio, Stop-Start Multiple VSM System, Traction control, Wheels: 18" Gloss Black 5-Spoke Aluminum, Windshield Wiper De-Icer. Thank you for visiting Wabash Valley Chrysler Dodge Jeep and Ram's Online Showroom. Our customers voted us #1 in Customer Satisfaction for a reason - because Wabash Valley works hard to make sure each and every customer is taken care of before, during and after the sale. Let Wabash Valley Chrysler Dodge Jeep and Ram show you how car buying should be. Make a confident, stress-free purchase knowing Wabash Valley was voted #1 in Customer Satisfaction by our customers for the entire Fort Wayne region. 2019 Jeep Compass Limited 4WD, Remote Start, Keyless Entry, Backup Camera, Bluetooth, Heated Leather Seats, Panoramic Suinroof, Alloy Wheels, Park Assist, Heated Steering Wheel. 22/30 City/Highway MPG Thank you for visiting Wabash Valley Chrysler Dodge Jeep and Ram's Online Showroom. Our customers voted us #1 in Customer Satisfaction for a reason - because Wabash Valley works hard to make sure each and every customer is taken care of before, during and after the sale. Let Wabash Valley Chrysler Dodge Jeep and Ram show you how car buying should be. Make a confident, stress-free purchase knowing Wabash Valley was voted #1 in Customer Satisfaction by our customers for the entire Fort Wayne region. 2019 Jeep Compass High Altitude 4WD, Remote Start, Keyless Entry, Bluetooth, Heated Leather Seats, Alloy Wheels, ABS brakes, Alloy wheels, Compass, Electronic Stability Control, Front dual zone A/C, Heated door mirrors, Heated front seats, Illuminated entry, Low tire pressure warning, Passenger door bin, Remote keyless entry, Traction control. 22/30 City/Highway MPG Thank you for visiting Wabash Valley Chrysler Dodge Jeep and Ram's Online Showroom. Our customers voted us #1 in Customer Satisfaction for a reason - because Wabash Valley works hard to make sure each and every customer is taken care of before, during and after the sale. Let Wabash Valley Chrysler Dodge Jeep and Ram show you how car buying should be. Make a confident, stress-free purchase knowing Wabash Valley was voted #1 in Customer Satisfaction by our customers for the entire Fort Wayne region.